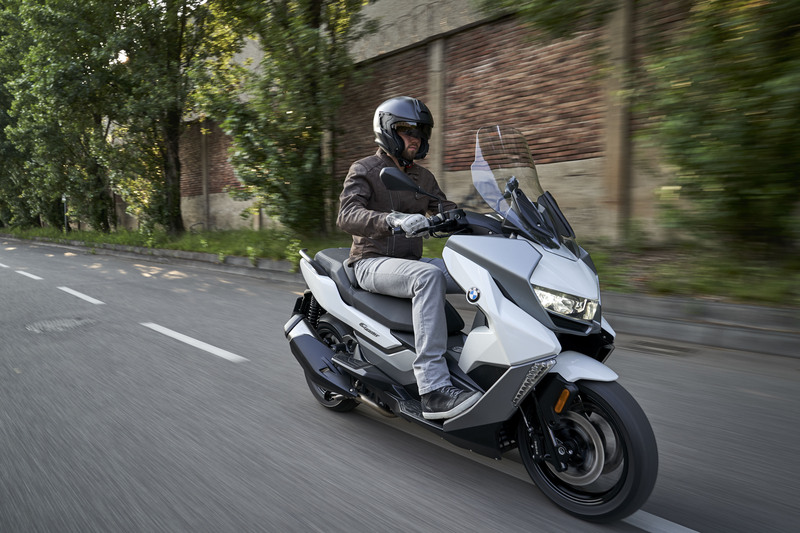 BMW introduced a new addition to its scooter lineup in the new C400GT. 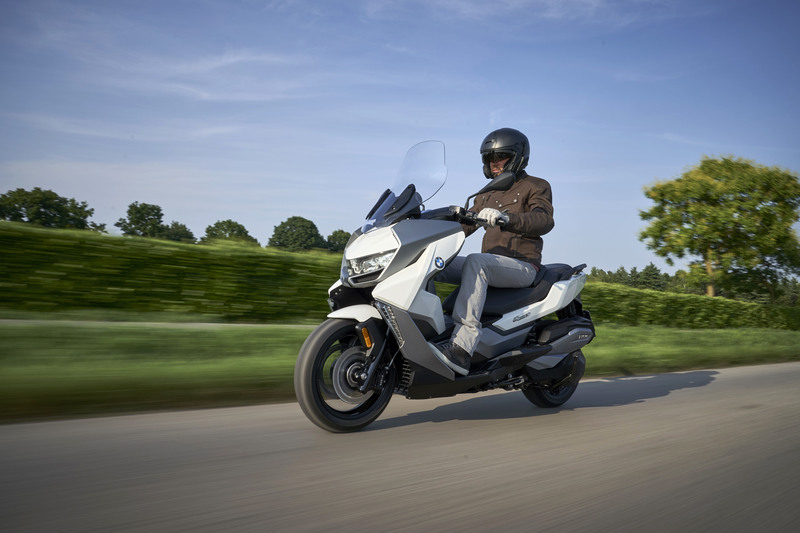 It joins the C400X introduced last year as a second mid-sized scooter, slotting in below the C650GT, C650 Sport and the electric C Evolution. 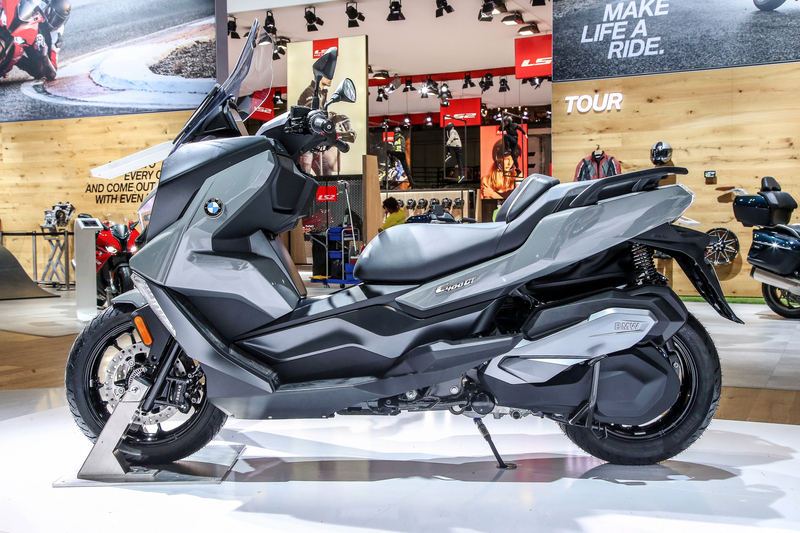 The 2019 BMW C400GT shares much with the C400X, but with more of a focus on comfort and touring. The BMW C400GT is powered by the same 350cc four-valve SOHC Single as the C400X, claiming an output of 34 hp at 7500 rpm and 25.8 lb-ft. at 6000 rpm. Power is delivered through a continuously variable transmission and a drive belt housed within the swingarm. The C400GT also shares the same tubular space frame as the C400X. A 43mm telescopic fork is matched to the 15-inch front wheel, while twin shocks suspend the drivetrain swingarm and 14-inch rear wheel. A pair of 265mm rotors and four-piston calipers handle front wheel braking duties while the rear wheel uses a 265mm disc with single-piston caliper. Braided steel brake lines come standard, as does a two-channel ABS from Continental. 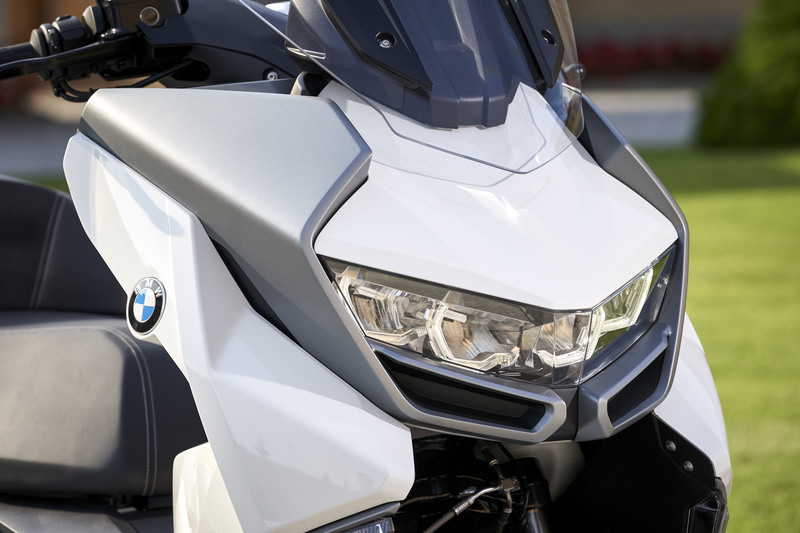 While the C400X’s headlight shares a similar shape as the ones found on BMW’s GS motorcycles, the C400GT seems to draw inspiration from the company’s automobiles. The broad LED headlight unit has more of an automotive shape to it, and rests above a pair of oblong shapes that resemble the signature kidney grilles found on BMW’s cars. The broad bodywork and tall windscreen provide more wind protection than the C400X, especially when carrying a passenger. The seat is 30.5 inches from the ground, with a lower 29.9 seat available as an accessory. 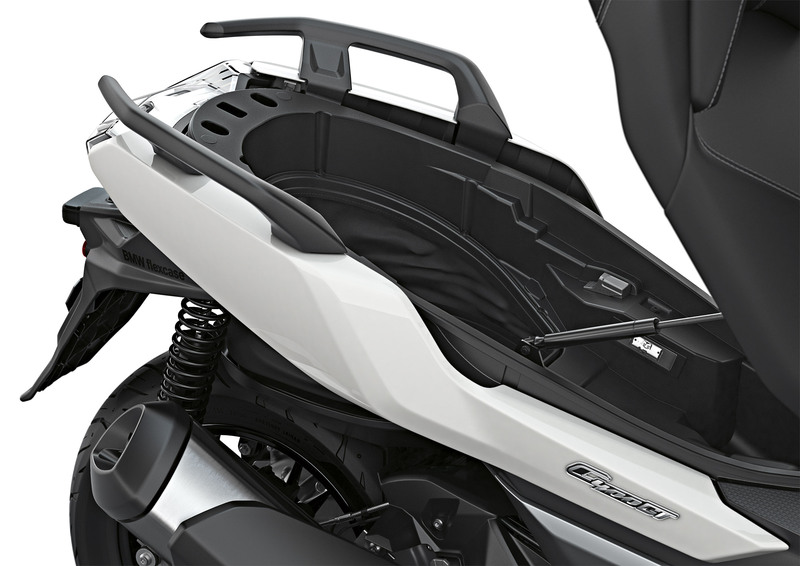 Beneath the saddle is a storage compartment with an expandable rear section. A flap in the rear base extends down towards the rear wheel, making it easier to leave your helmet in the compartment when parked. The front shield houses two smaller storage compartments, with one of them containing a power outlet. The instrument cluster is comprised of an analog speedometer with an LCD screen, though BMW will also offer a 6.5-inch color TFT display with Bluetooth connectivity and navigation as an ex-works option. Other standard features include keyless ignition, center stand and traction control. Available options include a comfort package of heated grips and seat, an alarm system and connectivity package with the TFT screen and Multicontroller. The 2019 BMW C400GT will be offered in three paint options: Alpine White, Moonwalk Grey metallic and Blackstorm metallic.